Climate Change and Indigenous Peoples Lecture: Climate Change, Water, and Landscapes: Impacts to Indigenous Culture and Sovereignty in the U.S.
May 9, 2018 at the University of Oregon Many Nations Longhouse with Dr. Karletta Chief and Dr. Margaret Redsteer. This lecture was part of the UO Symposium on Environmental Justice, Race, and Public Lands. The Symposium featured Dr. Kyle Whyte, Timnick Chair in the Humanities and Associate Professor of Philosophy and Community Sustainability, Michigan State University and Dr. Carolyn Finney from the University of Kentucky and author of Black Faces, White Spaces: Reimagining the Relationship of African Americans and the Great Outdoors. Dr. Karletta Chief (Diné) is an Assistant Professor & Extension Specialist in the Department of Soil, Water, and Environmental Sciences at the University of Arizona (UA). Her research focuses on understanding, tools, and predictions of watershed hydrology, unsaturated flow in arid environments, and how natural and human disturbances impact water resources. She received a B.S. and M.S. in Civil and Environmental Engineering from Stanford in 1998 and 2000 and her Ph.D. in Hydrology at UA in 2007. In 2011, Dr. Chief was named American Indian Science and Engineering Society (AISES) Most Promising Scientist/Scholar, 2015 Native American 40 under 40, 2016 AISES Professional of the Year, 2016 Phoenix Indian Center Woman of theYear, and 2017 Stanford University Multi-Cultural Hall of Fame Inductee. Through her hydrology extension programs to reduce disparities in water and water related-education, since 2011, she has driven ~88,000 miles to tribes and conducted 113 community presentations. – Toxic Spill in the Navajo Nation. Scientific American. March 12, 2018. – Protecting The Waterways Of The Navajo Nation. Dr. Karletta Chief on Science Friday. January 12, 2018. Dr. Margaret Redsteer is a research scientist who focuses on the perturbations in climate and ecosystem processes and their linkages to landscape stability in order to unravel and understand the impacts and vulnerabilities we face from shifts in seasons, and how these may increase hazards, alter vegetation composition and degrade ecosystem services. 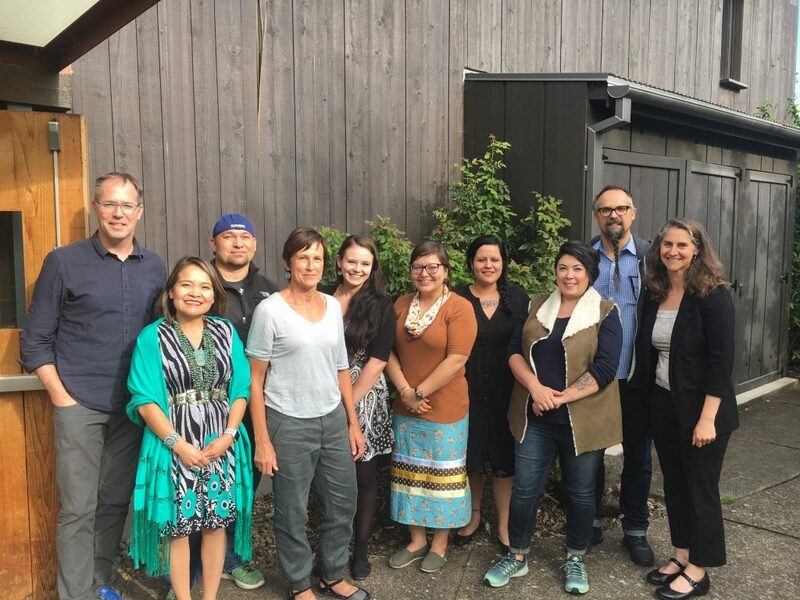 Much of this work has focused on Indigenous communities in the southwest and northern Great Plains, including the application of local and traditional knowledge. In addition to her own research, Margaret has contributed to the UN Global Assessment on Disaster Risk Reduction and co-authored several assessment reports, including the IPCC (Intergovernmental Panel on Climate Change) working Group II Fifth Assessment Report chapter on Adaptation, Planning and Implementation, the National Climate Assessment, and the Second State of the Carbon Cycle report. Ace Baker, Northwest Indian College. Ace was born in Fort Yates, ND and is an enrolled member of the Standing Rock Sioux Tribe. Ace graduated in 1997 from Standing Rock H.S. and went to a Water Resource Quality Technician Program on the campus of Central Washington U. in Ellensburg, WA in 1999. Ace enlisted in the US Army in February 2001 and made it through 3 deployments to Iraq. Ace is currently enrolled in the Northwest Indian College Native Environmental Science program. Darcey Evans, UC Santa Cruz. Darcey is a PhD student in Anthropology at the University of California, Santa Cruz. She has worked with Tribal Nations across California, Oregon, and Washington on forestry, food security, river restoration, mapping, and oral history projects. Her PhD research asks how the US-Canada border between Washington and British Columbia disrupts the Salish Sea and the ability for Tribes and First Nations to participate in water governance as sovereign nations. 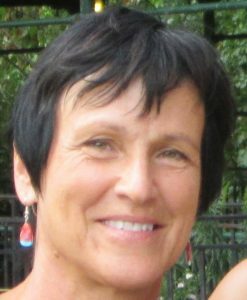 She is interested in inseparability of social and ecological issues and how land and water stewardship can support Indigenous rights. She is of Karuk and British heritage and is a member of Quartz Valley Indian Reservation in northern California. Ciarra “C” Greene, Portland State University. Ciarra Greene is an enrolled member of the Nez Perce Tribe. Nimiipuu (Nez Perce) culture and traditions emphasize environmental stewardship and drives Ciarra’s academic, professional, and personal endeavors. She has her BS in Chemistry from Northern Arizona University (2012), where she researched environmental transport and stabilization of uranium on the Navajo Reservation, and completed internships with the Nez Perce Tribe, Dept. of Energy (Hanford), EPA, and Institute of Tribal Environmental Professionals. 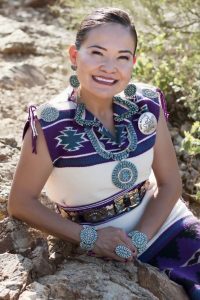 Previously she was employed at the Arizona Science Center as STEM instructor, the Nez Perce Tribe Water Resources Division (Wetland Program Field Assistant and Water Resources Specialist), and Wisdom of the Elders (Educator and Workforce Development Coordinator). Currently Ciarra is pursuing her MS degree in Science Teaching at Portland State University, actively participates in the Portland Parks and Recreation Native American Community Advisory Council, and in the American Indian Science and Engineering Society. Virginia “Ginger” Morigeau, Salish Kootenai College. Ginger is Bitterroot Salish enrolled in the Confederated Salish and Kootenai Tribes of the Flathead Indian Reservation in Northwestern Montana. Ginger is currently a Senior in the Tribal Historic Preservation program at Salish Kootenai College. The Tribal Historic Preservation major is “committed to training resourceful, skilled, multi-disciplinary preservationists and promoting the involvement of tribal people and governments in cultural resource management that respects and values indigenous ways of knowing, oral tradition and Native ideologies.” Gingers research this year is focused on how climate change is impacting cultural resources on the Flathead Indian Reservation, and the tribe’s aboriginal territory’s where they have hunting and gathering treaty rights off the reservation while using GIS and remote sensing. Last summer she worked as a field technician for her tribe’s preservation office. This spring Ginger will graduate with a B.A. in Tribal Historic Preservation, A.A. in Native American Studies, and a Certificate in Geospatial Science. She will continue on to earn a master’s degree in Cultural Heritage Management. Sponsors: This event is co-sponsored by the UO Robert D. Clark Honors College, the UO Environmental Studies Program, the UO Native American Student Union, UO Center for Environmental Futures, the Office of the Vice President for Equity and Inclusion, the Office of the Provost and Academic Affairs in partnership with the Teaching Engagement Program (TEP), the University of Oregon Fund for Community Engaged Teaching Program, the UO Climate Change Research Group, the Affiliated Tribes of Northwest Indians, and the USDA Forest Service Pacific Northwest Research Station. This event is also part of the Pacific Northwest Tribal Climate Change Project. May 17, 2018 – Climate, Public Lands, and Environmental Justice Student Conference. The 2018 climate change and indigenous peoples student conference will take place as part of the University of Oregon Undergraduate Research Symposium, featuring presentations by students in various UO courses and open to other students. Contact Mark Carey if interested in presenting.